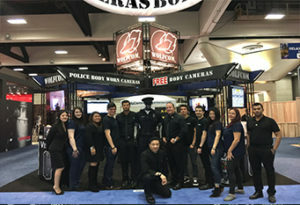 "The single most important feature you will ever need in a body camera"
The Wolfcom Vision police body camera is the very first body camera system in the world with critical reconnect technology that will protect an officer in that critical moment when his head or collar mounted camera is yanked off during a struggle with a suspect. 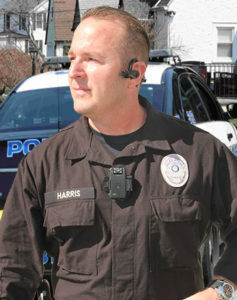 Many headset type body cameras incorporate a one camera system. This means that if the camera gets yanked off or destroyed, all audio and video will be lost. 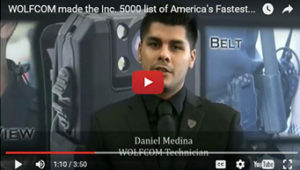 The Wolfcom Vision works on a two camera system. The headset camera records the main event and the secondary camera acts as an emergency backup. In the event the headset camera is ripped away, the secondary camera will resume recording of the incident. 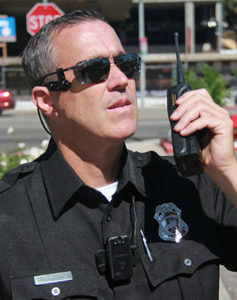 The Wolfcom Vision accepts different types of headset cameras including cameras that can be attached to the glasses, hat, baseball cap, and helmet. Developed by Wolfcom Enterprises, this Patent Pending Technology protects the user from loss of audio and video recording should the external camera or POV (Point of View) camera become detached from the main recording unit. normally consists of two parts. 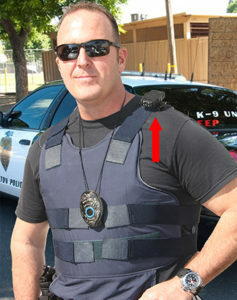 The main recording unit typically contains a battery and memory for storage and is worn on the belt or chest area of the user. 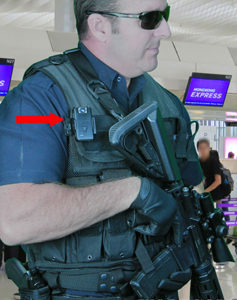 The external POV camera typically has a built-in microphone and is connected or plugged into the main unit via a cord. When recording is activated, audio and video signals from the external POV camera are sent to the main unit and recorded onto the memory. 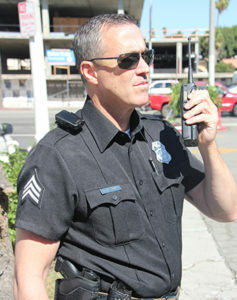 POV cameras on their glasses or on headsets have found themselves in a physical altercation with a suspect. 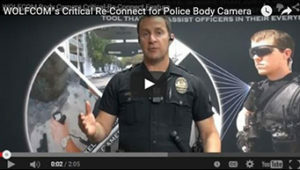 During a struggle with the suspect, the POV camera was disconnected from the main unit resulting in loss of audio and video. 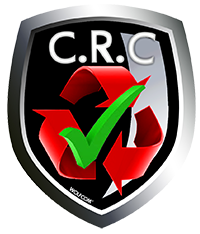 Wolfcom Enterprises Critical Re-Connect technology addresses this problem.Our POV camera system also consist of 2 parts. The main recording unit and the external POV camera with built-in microphone. However, our main recording unit also has a built-in camera and microphone. In the event the external POV camera is disconnected from the main recording unit, the built-in camera and microphone of the main unit will activate and audio and video recording will resume. 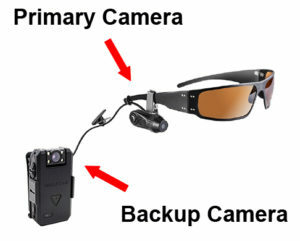 As soon as the main recording unit senses that the external POV camera has been disconnected, it will vibrate to alert the user that the external POV camera has been disconnected and will then activate its built-in camera and microphone to resume audio and video recording. In early 2015 an Albuquerque Police Officer wearing a TASER Axon Flex body camera claimed that his camera accidentally became unplugged before he fatally shot and killed a woman. This would never have happened if he was wearing the WOLFCOM Vision. Case in Point: Read the article here. 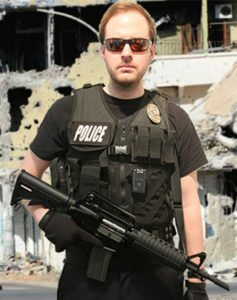 The following news seems to mainly imply that the officer purposely disconnected his camera. However, the officer says that his Taser camera become unplugged without his knowledge. If this happened to you, how will you prove the truth? Former Albuquerque Police Officer Jeremy Dear’s body camera didn’t malfunction when he chased, shot and killed 19-year-old Mary Hawkes. 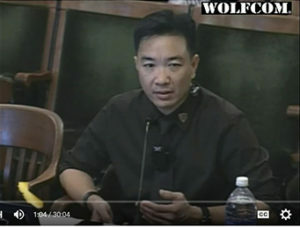 The Taser Axon Flex body camera was not plugged in and even though the Albuquerque police higher-ups have refused to acknowledge this, fired officer Dear has acknowledged this repeatedly during the investigation into the shooting of the suspected car thief. Dear said that Hawkes pointed a gun at him in the early morning hours of April 21. But after shooting her, Dear suddenly noticed the Taser camera was “accidentally unplugged.” He plugged it in immediately, just in time to tell us what “happened.” Unfortunately, we are just supposed to take his word for everything. “Oh f—, oh f—, oh f—, s—, s—, s—. My camera. It was unplugged,” Dear said in an interview with investigators. The recording of the interview was obtained by the Journal under the Inspection of Public Records Act. “I’ve had problems with it in the past. It comes unplugged and it won’t record,” Dear justified. Unbelievably, Dear claims he was so close that he could see Hawkes’ gun with silver on the tip where the black gun was scratched. But experts say that under that kind of stress, noticing these sorts of details is unusual at best. 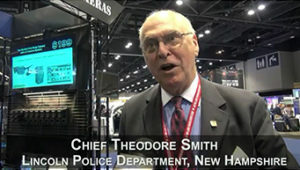 But Police Chief Gorden Eden, said in a news conference that they were not sure why Dear’s camera didn’t work. Police sent the device back to the manufacturer for analysis, even though Dear admitted he had unplugged it. Dear ended up being fired from the Albuquerque Police Department in December, but he has never been charged with any criminal act related to this shooting. Dear had to push a button on the battery to make the camera start recording. But he said he pushed it as he got out of the police cruiser and never heard the beep, so – he acknowledges – he knew from the start that it was not recording. So why did he act surprised once he plugged the camera in? “I was more concerned about watching her running,” he said, explaining that he knew the camera was not recording. 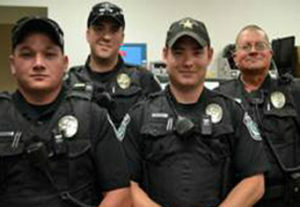 The Department of Justice found that “few examples of officers being reprimanded for failing to record force incidents,” the DOJ stated in a report reviewing the Albuquerque Police Department and their patterns of abuse. Considering the dubious claims of the officer, should we just take his word and accept that Hawkes had a gun and refused to drop it? She never fired at him. That is hardly typical of suspects who draw and aim weapons at officers. The fact that the body camera turns off right at this critical moment, and then resumes just in time for officers to show the gun to the camera calls a lot into question. Was Hawkes carrying a firearm? Maybe. Did she aim it at Dear? That too is possible. But the timing of the camera “malfunction” calls everything that former officer Dear has said into question. It’s also equally possible that Dear planted a “drop gun” on a suspect who he shot that turned out to be unarmed. 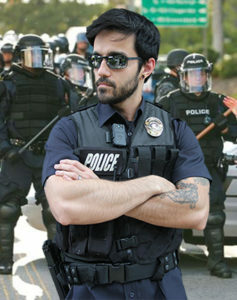 That’s why the Albuquerque Police Department mandates body cameras, but if officers unplug them every time they shoot someone, it is a little difficult to take their word for things.